I hate to be *that guy,* but if you don’t mind indulging us for a second, we have a bit of an announcement to share. Labelscar is now one year old! It’s shocking to think that it’s been so long already, and perhaps even more shocking to think of how far we’ve come in just one short year, so we wanted to take a time to briefly stop, reflect, and–most importantly–thank each and every one of you for help making this venture such a success in its inaugural year! If it wasn’t for all of your email submissions, comments, readership, and general support, this wouldn’t have been nearly as much fun as it has. I figured that I might use this space to share some information that you might not otherwise know about us. In addition to being our birthday, this exact post (really, this very one!) is the 200th one on the site. In that time, we’ve garnered 2,297 non-spam comments on our posts, and we’ve managed to post at least one mall or news item from 38 states, three Canadian provinces, and Mexico. We hope to bring those numbers even higher in the next year! To date, we’ve even received some attention in the mainstream media, including a feature in Retail Traffic Magazine and quotes in the Minneapolis Star-Tribune and the Madison (Wisconsin) Capital Times. We also are slotted for upcoming pieces in The Weekly Dig of Boston, Mass. (tomorrow, we’re told) We’re also featured very prominently in a huge spread in today’s issue of The Weekly Dig of Boston, Mass., and are slotted for an upcoming piece in Boston Magazine. Stay tuned–we’ll try and let you know when it appears. Despite our humble beginnings, we now have between 1,000 and 1,500 unique visitors a day, which we take as a BIG sign that there are a lot of people–way, WAY more than we would’ve thought–who find this to be as cool as we do! We’re glad to be a part of helping to shape the debate on it, and to join a great, active community of similar sites, including MallsofAmerica, BigMallRat, LiveMalls, DeadMalls, Georgia Retail Memories, AmesFanClub, Retail Traffic Court, Groceteria, and The Caldor Rainbow. There’s still a lot of work to do. With an estimated 1,100 enclosed shopping malls in the United States (according to ICSC, and that no doubt ignores the hundreds to already die) there’s a lot of ground to cover. If you have something–especially old photos–that you’d like to contribute, then drop us a line at the email addresses listed on this page. And, because I believe we can always improve, I’d like to invite all of you to use the comment feature to this post to give me your “Labelscar wishlist:” What would you really like to see us do? Would you like to see more of certain types of articles, or would you like to see some sort of functionality on the site that we don’t currently have? Do you feel there’s something we don’t currently do, but should? Or, maybe there’s something we CURRENTLY do that you think is really great, and want more of. Due to our limited resources, I can’t guarantee we’ll be able to do all of it, but I’m interested to know what you’d all really *like* to see. Congrats! And keep up the great work! kudos on the positive press! happy birthday; may there be many more to come! I could’ve done without the (really bad!) photo, but otherwise it’s a really cool article! Let me say you’ve inspired me, author of The Caldor Rainbow, to start documenting and exploring malls in my area using *the standard* Labelscar template. I look forward to every update you two post here with your professional write-ups and images. You bring insight and spotlight to places often disregarded today as simple money pits. What I’d like to see? Maybe pictures of shopping centers and plazas with particularly aged looking stores. Discussion topics on individual stores (like done in the past with “Ames”) is always something I wanted to see more of. I know we don’t want this to be a “Dead Malls” supplement, but adding with the charm of malls and centers built around the 60s, 70s, 80s, I think this would be a good move. You guys are making subculture history right now. Keep it going. I still remember my first comment here at Labelscar too. I believe it was on classic K-mart stores. I’m looking to fill in more blanks for those malls that I know (with more submissions), and comment even on those I don’t know (but still find the pics cool) in the future here. Happy 1st! The blog entries are a great trip down memory lane and I like the inclusion of the pics. Keep posting on NJ malls and I would be very interested in seeing profiles of Garden State Plaza, Quaker Bridge, Menlo Park. It would also be interesting to see your take on other large malls, their histories and smaller beginnings such as Tysons Corner, King of Prussia, Burlington Mall (MA) and Roosevelt Field. Happy Birthday and happy 200th post! Happy Happy Birthday. May the next year bring you to more malls with stories to tell. Congratulations, y’all. You’ve done a lot in just one year. XISMZERO brought up a good idea too, that I thought would be neat. Let’s not forget many of the regional names in retailnig that have all but gone and have been forgotten, though this would be a stretch. The blog should stick to ‘national’ banners, like those I listed above. Thanks guys for the heads up on my much smaller “Georgia Retail Memories” site. I honestly have been more impressed with your site than any of the others, though all of them fill their need and niche. You must part with a rather substantial sum of your incomes for this nationwide travel just to check out malls. Deadmalls.com found they could not dominate this and that they most likely maxed out web space doing it, and if it wasn’t for the travails I had growing up and my lack of internet to connect me with others interested, I’m sure I would have photographed these places. Also, if I wasn’t so swamped with college, personal and family issues I would be able to devote more to my own site. It seems I’m always on the go, so it’s nice to check everyday to see if this site, Malls of America, LiveMalls or deadmalls.com has any interesting updates and information on these public venues of the past. For me, it seems that the major basis of the movement to post these mall photos and pictures is not just that we find the older malls fascinating but that most of us are begrudgingly acknowledging the blandness and overall negativity of our time, and these represent (at least to some of us) this era of optimism and excess that included the outlandishly modern showcases of storied chains, oversized malls that attempted to be bigger and better each time and enormous artificial streetscapes that at times seemed so profound they felt like a world of their own. I remember how I marveled at the sheer enormousness and newness of North Point Mall when it opened in 1993 and seeing a mall that would one day feature six anchors. Even then, this very overall 80’s looking mall made you feel like that everything was getting better and nicer. Now that same mall is, like many on this site, looking more and more like a white elephant while others of these places I spent significant time in are either radically transformed or just plain gone: a major basis of why I created my own blogsite. The Lord & Taylor at that mall now sits vacant. The concept showpiece Rich’s there, which was a gift of retribution for the loss of the storied downtown monstrosity is now scarred with a cheap Macy’s sign. The mall has struggled to hold tenants because of its size, ever shrinking volume of chain stores and ever-expanding off-mall competition. Even the Mall of Georgia, which stole its thunder in 1999, has never been fully occupied. The malls as we remembered them as a kid represented a time of unparalleled prosperity and of the continued embracing of new trends and modernity. They represented a time when the children of the WWII parents believed they would be much more prosperous than their parents and that their kids (like me) would likewise do the same…that technology and suburbanization would make us richer and richer. The catastrophe of modern retailing showed us the error in that logic manifested in part by long hours at work and two incomes that could barely pay the mortgage of the oversized suburban homes. This was much less the extras we all expected in that time. Likewise, these worn and dated 70’s malls that died are in my mind still the smooth, sleek, flashy, crowded malls with their many different department store names and dark, moody interiors enhanced by the dark two-way mirrors over the entrances. They were experimented with heavily from the 60’s-90’s and have survived 50 years with their decline not beginning after the mid-90’s. Over a decade of my life was spent in these places, so that undoubtably is most everyone else as well. I was just reading about the 1970’s and 1980’s overall and how it was a time of so much innovation and new ideas in pretty much everything. Even music…have you heard many truly original songs since that time? Why else are they still playing so much music from the 1970’s except that apparently this time period still means something to people? I wouldn’t say that innovation is not happening now, but what is lacking now is the originality and hopefulness in the future. What is the “new” trend? To tear down the “ugly”, “liberal” progress of the 1970’s and 1980’s and replace it with a soulless counterfeit to an even more bygone era of these downtowns that were replaced because of reasons that looking back still sound reasonable? I think this lack of vision and inspiration today is why we are looking back so much now, and this closure of the mall era is creepy, fascinating and makes us wistful of those places that we spent more time in than we would like to acknowledge. In fact, a very large part of my childhood was spent visiting between 6-10 malls at different times on a regular basis as well as many various off-mall chain stores that no longer exist. Now in this postmodern era, we’re watching these stripped down, blander malls struggling to survive as the innovation that these malls presented reached their peak and faltered due to greed of the owners, fear of competition and consolidation trumping what made malls fun to shop at in the first place. It was these attitudes and of our parents discontent with the byproducts of the 60’s and 70’s that have helped reverse the mall trend…why unique architectural features built into these malls were gutted and replaced with nothing more than shiny marble floors and kiosks. While this is long winded, I’m basically saying that the fascination with this has a basis. It is a sign of the times, and as these places disappear and get gutted for the next trend we will be looking back more and more and saying “wow”. Congratulations, on your anniversary of 1 year since this site been up. The mall era has indeed changed dramatically even since 1980! I’ve read not to long ago from a book “Roadside Empire: How The Chains Franchised America” that there used to be around 18,000 shopping malls in the country,astounding isn’t it? I would like to see a small section for famous stores defunct & operating. I think it should be just mainly nationwide chains so it doesn’t get to complicated. What I would like to see especially if you can find them is vintage pictures of how Sears,JCPenney,Wards and other chains such as these looked like inside way back when say around the 60s to 70s and maybe 80’s. It would be neat to see interior pics of these stores to see how much they have changed. and keep up the good work I hope to see some more fantastic malls in the future. I too have become more interested in malls because of this site every since I read your entry on Summit Place Mall. I’d like to see more of the succesful malls that killed off other malls, especially regional malls. In addition to that I’d like to actually see you guys do something on lifestyle centers because I myself have never see one around where I live and why it’s such a “fad” in retail today. The ‘lifestyle center’ is a ‘fad’ because of the notion that it’s more convenient for people to drive up to their favorite store, park, go in, get what they need, then ‘get the hell outta Dodge.’ basically. Problem is, try that during the busy holiday shopping season. You’re stuck parking way in back anyways. The architecture of these ‘lifestyle centers’ is bland to my eyes. We’ve got one full-fledged lifestyle center, Greenville Station (in the Madison area) two malls that are getting lifestyle elements (Bayshore Town Center and Brookfield Square in the Milwaukee area), and a new mall going up will have a hybrid lifestyle / enclosed format (Pabst Town Centre in the Waukesha/Delafield region). They are trying to pull off the faux ‘Main St.’ look to these buildings, but come on……you can tell it’s all fake. Go down a ‘REAL’ downtown strip once, and you’ll see what I mean. Those buildings in our downtowns just can’t be replicated without insanely high costs. Oh, and most lifestyle centers have upper-tier retailers and restaurants. Chico’s, White House / Black Market, PF Changs, and so on. Not your typical mall-based stores like Aeropostale, PacSun, Bath & Body Works, and the like. Regarding “no spam messages”, the last comment on Mall 205 is indeed spam. I stumbled upon Dead Malls back in November from Groceteria. Somehow I kept clicking through the links like Malls of America and That Store’s Sick (a local blogger’s site). Labelscar is a daily “must check” now. So comprehensive, so fun…and yet so tragic. If you ever happen to hit the Norfolk, VA area, please drop me an email in advance and I take you to all the local haunts! Heck, I work 2 blocks away from a Taubman property, MacArthur Center. Happy First Anniversary and Many More! Mall 205 is really neat in the fact that it has an interior entrance to a Home Depot, I’m sure that there’s a mall somewhere with an interior entrance to a relatively well-known grocery store. Kenora Shoppers Mall in Canada has an Extra Foods store, and a few malls have Big Kmarts and Wal-Mart Supercenters, but nothing like H-E-B, Publix, Kroger, etc. I’d personally like to see certain bygone malls covered that I used to go to growing up covered(i.e. Brickyard Mall in Chicago, IL, which was demolished in favor of a lifestyle center a few years back). In addition, I’d like to see some entries about other well-known early malls that likely inspired the construction of later malls which haven’t been covered yet, such as Golf Mill Mall in Niles, IL. Finally, I’d love to read about some out-of-the-way malls that are often overlooked, and were constructed to serve small or mid-sized towns of the country, back in the 1970s and 1980s(a la Cross Country Mall in Mattoon, IL, Dublin Mall in Dublin, GA(or any other small-town mall owned by Hull-Storey in the South), etc…). Happy 1st Birthday Labelscar! I hope that you cover more retailers soon. Have you been to Green Bay, Wisconsin lately? If you haven’t been there yet, I have something in my town that will suprise you. It is the East Town Mall on 2350 East Mason St. on the east side of town. It was built in 1981 and has almost everything the other malls on your site have. Also, you should check out Bay Park Square in Ashwaubenon with the ShopKo, Younkers and Kohl’s anchors as well as the “Supper Bowl” food court inspired by Green Bay’s love for Packers football. I got inspired to tell you about this because i saw your pages on Edgelake Plaza in Manitowoc and Beaver Dam Mall in Beaver Dam. 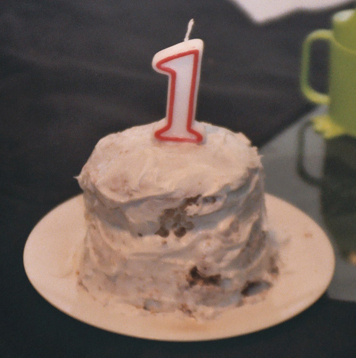 Happy 1st birthday, Labelscar! I’d like to personally thank Caldor and Prangeway so much for all of their hard work. And, while there are many great websites devoted to retail–including The Caldor Rainbow, Dead Malls, Live Malls, and Malls of America–there’s just something extra special about Labelscar that makes it the gold standard. 1. More Geographic Balance: The bulk of malls covered on Labelscar are located in the Northeast and the Midwest. This is completely understandable, since Caldor and Prangeway are from the Northeast and the Midwest, respectively. However, it would be most appreciated if we could read about more malls from the South and the West Coast. 2. Profiles about Outdoor Shopping Centers: By outdoor shopping centers, I am not referring to those dreaded power or lifestyle centers, but rather to simple outdoor clusters of shops (which have been around for a long time) which are usually anchored by a discount store (e.g., Kmart or Wal-Mart) and/or a supermarket. However, I realize that (1) interest in these outdoor shopping centers is much lower than the interest in shopping malls and (2) information on shopping centers is much harder to come by. Thanks for reading my suggestions, and here’s to many more birthdays! The issue of geographic balance is one we’re certainly aware of, and it’s probably one of our biggest challenges. The fact that there’s two of us does give us a bit of a benefit, but since this isn’t our full time job (and as an aside, how I wish it was! ), it’s hard to have as much depth of coverage of areas outside the northeast and the midwest. At least these are very populous regions, with a lot to talk about. Mr. Prangeway has been a bit quiet lately to do some other obligations, but once he gets talking more he’ll be making a concerted effort to ping around a bit. His coverage is a bit broader than my own, so he has this luxury, and we’ve tried in the past to try and cover a broad area whenever possible. One of our goals has been to try and have *some* coverage of each of the 50 states, so that anyone who comes to the site will find something that’s at least partially familiar. Also, we certainly welcome submissions from third parties! In the past, this has helped us hit some far-off areas like Louisiana that we wouldn’t otherwise have any coverage of. Maybe someday, if I build up some excess vacation time, I can build up a store of mall photos from other parts of the country too, but due to pesky real-life obligations, I haven’t been able to do quite as much traveling as I’d like. Caldor, I appreciate your very thoughtful explanation. Thank you so much for responding to my comment so quickly. IIRC, I think we started our blogs about the same time but I understand fully about “other obligations” which has caused mine to decline. I have actually thought about how I could be beneficial to this blog on the Southern end of things instead of running my own, but I’m not sure you’d be patient about the posts that deviate from the typical “mall” ones such as the descriptions of discount chains in my home state as well as occasionally covering older strip malls. My interest area pretty much covers Georgia, Alabama, East Tennessee, North Carolina, SW VA and Florida in this, and i remember especially the fascinating malls in Florida when I was a kid. I haven’t forgotten the mall anchored by all unfamiliar stores near Jacksonville that all seemed to stem from elsewhere including (I remember for sure) Maison Blanche and Gayfer’s, but also I think there was a Maas Brothers or Jordan Marsh there. I wish someone could refresh me on that one. The Maison Blanche looked very Frenchy and pink with an entrance that was likewise. Even though the South is hardly the land of malls compared to the Northeast and Midwest, we have had quite a few and some were showpieces of their time. I am hoping to give exposure to more of the forgotten regional and local department store chains of yesterday as well. I seem to learn of a new one all the time: Tapp’s, Kessler’s, Cullum’s, Kirven’s, Blach’s, Levy’s, Lay’s, D.H. Holmes and Kerrison’s were just some of the names of stores that all disappeared in the 80’s that weren’t well known out of their cities as the mall era pushed consolidation of more and more chains and eventually the malls themselves. In the county seat of the town I grew up in, there was a multi-level modernist department store right in the center of town which was downgraded to a small store in a strip mall before disappearing entirely. Perhaps I could just supplement this site with “Southern Retail Memories” instead of “Georgia Retail Memories” if I had the time and money to travel. I think lately my GRM site has mainly become a glorified ode to Richway lol. If not, maybe it’s time I do online what the retail world is doing…consolidate 😀 It happened to the road enthusiast websites! I did the Edgewater Mall writeup and most of the pics, and I commmented a lot on the Beaver Dam Mall. Hope you enjoyed those. East Town: I do have pics (interior and exterior I took back in 2002), and a pretty good handle of its history. It just got bought by someone new recently…it’s been on the selling block the past couple of years actually. I heard they have big plans for the place. It was originally developed as a small regional, fully enclosed mall, PrangeWay and Kohl’s its main anchors, in 1981 (you had the year right). Room for about 30 or so tenants. Problem is you still had Port Plaza which built on Boston Store and a food court and killed the mall almost instantaniously. Too many overlapping store chains and the like, plus the region was yet to grow…..which it finally is now with all the new housing over the past 10 years. Bay Park Square: A pretty ho-hum, no-frills mall its first decade (1980-1990) as well, until it got Kohls in the late 1980s, and a proper food court later on, THEN it took off. It was originally a Edward DeBartolo development (the only mall owned by his company in Wisconsin if I’m not mistaken), who in turn was bought out by Simon, the current owner / management. Then there’s the mentioned Green Bay Plaza. This one puzzles me. Was it ever enclosed / had an enclosed portion? It’s been all spilt up into three blocks now. Sears takes up one (this is a relic guys…other than signage, and possible interior remodeling, the exterior still screams vintage 1960s design), Linens & Things / Office Depot takes up another, and then there’s just a long strip of shops off to another side. I have pics of this mall as well. After the Memorial Day holiday, I’ll get cracking on another Fox Cities mall as well. Northland Mall (This one’s in Appleton), which I have tons of info and images for. I look forward to writing up on that one. Also gathering info for two other childhood haunts in West Bend, that have been de-malled over the past 15 years. Hitting the library there this coming Friday (pending nothing happens) for some serious digging into the microfilms….though I wonder what else I could look up as far as resources goes for info on old malls? That city had two malls. Washington and Westfair. Washington Mall is probably better known as Paradise Mall to most. Finally I think someone mentioned Northridge Mall in Milwaukee, and they had pics. I could carry over my write up (it needs revising anyways) from Dead Malls.com to here so the pics are supplimented with a writeup. That mall is a sad case of mistaken perception that killed it. Oh, we have our successes. Southridge, Fox River Mall, West Towne and East Towne. I’m just trying to cover all the ‘dead mall’ bases. Gosh, I got a busy summer ahead of me. I want to be more involved in Labelscar’s 2nd year. I want to see Mall of America reviewed, as part of a “live” malls thing. I also want to see a full writeup on Forum 303. Happy Birthday Labelscar from MallofMemphis.org and MallMemories.com – I was very happy to find that my interest in this field was shared by so many other quality sites, especially yours. We are proud to link to your site from ours and hope for many more anniversaries in the future! I would like to see what you think about the Brass Mill Center in Waterbury,especially your reaction to it’s architecture and it’s layout. That place has a former Filene’s store in it that still has some of the decor from the Fliene’s chain. You’d be surprised to know that this mall houses an entire Cineplex inside,it has a carousel inside,and a really really neat bungee secured jumping activity structure inside. The location this mall is also worth noting,because it was the exact location where Stanley works and the Brass industry that made it famous was located. Whose departure put Waterbury into a recession along with the state in the early 1990s. I can also give you info on which stores that were originally located in the Naugatuck Valley Mall that moved to this mall. (they were Sears, Filene’s originally G. Fox in the original mall,which is now Macy’s, Radioshack, Kay Jewelers, KB Toys, News Rack, Lens Crafters, GNC,Hallmark,a pet store,Waldenbooks,Burger King) Also the fact that the layout is almost a duplicate of the former malls layout,except for a few differences. I, too, would like to see more Connecticut malls, especially those long gone (like Naguatuck Valley or Farmington Valley). I’m estimating there would be a consensous of boring regarding Brass Mill Center though. While having some interesting touches (like the quarter-pipe ceilings and paintings), it’s a mall ultimately marred by “its vintage” of 1997 bland. I don’t know, Brass Mill is on the bottom of my list of our state’s offerings because it’s the quintessential mid-sized 90’s mall (bland, highly uninteresting, uninspired layout). It also attracts a lot of, forgive my honesty, Waterbury trash more so than any other mall in the state (but it’s Waterbury). Here’s some shots of it, very few because it’s just not that stunning. You know what would be neat to see here? a review of Old Mystick Village. While this isn’t 100% “mall” per say,it is a rustic shopping district built around the theme of a 1700s village,that house many great local stores and is complete with duck ponds and fountains. My guess is that it was built in the 1970s,I never get tired of this place and reminds me in a sense of the old Naugatuck Valley Mall. Forget Danbury Square,Buckland Hills,or Westfarms if you TRULY want to see a place that shows how shopping “back in the day” used to be like this place is definitely it! and as a bonus Mystic has a former Howard Johnson’s Restaurant, which now the location of one of Connecticut’s remaining Bickfords! Seriously this place is a gem! I want to see Tanglewood Mall. The DeadMalls summary is great, but…what did it look like during its days? How did it go upscale and downscale? Where’s all the pictures? What was the French Quarter like? I don’t have any pictures of how Tanglewood used to look pre-1990. I wish I did, but back in the day, I didn’t think about taking any. I remember the mall having four fountains: two water fountains in front of Leggett. a “pyramid” fountain in front of JCPenney and a huge block fountain at the Woolco end of the mall. They were very loud and very cool, and they were surrounded by what could best be described as something out of “The Price Is Right” design manual. There were a lot of jeweltone colors striped onto white walls, and distinctive pole lamps, some of which didn’t come down until this year. I absolutely loved it as a kid, and I have a strong appreciation for it as an adult. I also dug the ’85 remodel as well, which featured Mediterranean style-tile and disco-ball style mirrors. It was time for a change, though it wasn’t nearly as fun. I want to bring this to attention, but about a week ago, Dunlaps and its chain of stores closed, including Stripling & Cox, a local department store of bygone days. Look at the Dunlaps Wikipedia article. This news has already been covered in the University Mall-Little Rock site. Can you do dying mall Sunrise Mall in Corpus Christi TX? I’ve got pictures! But I’m a little confused. An article read it would be “partially open air”. The Wikipedia article indicated there were some mom & pop stores and a food court, getting traffic from the WalMart “immediately next door”. So does WalMart Supercenter open into the mall proper? Wal-Mart doesn’t open into the mall, no. http://www.centroprop.com/images/websiteplanlg/PFL163ST1.swf Here’s a lease plan of 163rd Street. And, of course. MetroCenter Mall in Phoenix. Was “Batter Up” a real store there? Particulary the former Forest Fair Mall. How did they lease 200 tenants at start? -Menlo Park Mall: The 1st indoor mall in Middlesex Co, NJ, this mall has greatly changed over the years, going from a small 1 level, nearly dead mall with one of the ugliest interiors going to a large super-regional 2 level mall that trends upscale and has numerous entertainment options. -Garden State Plaza: It started out as an outdoor mall, went indoors, built another level and two expansions later, is now the largest indoor mall in NJ. -Tysons Corner Center: Starting out as a 1 level, 3 department store mall along the Beltway, it has grown to being the largest mall in the DC metro area and just recently expanded…the Metro will be building the SIlver line past it. -Rockaway Townsquare: Made a huge transformation with its 1990s renovation…was quite dark inside, had lowered seating areas and extensive planters (I even think there were a few fountains there, as well). The renovation brightened up the place a lot, gave it an airy feel, added an elevator, new marble floors and a fountain. The mall is currently going through another renovation that is adding stone floors, carpeted areas, soft seating areas and exterior entrances. Rockaway Townsquare has also had a significant upsacle trend and an exterior expansion in the past 3 years. Natick Collection: Now the largest mall in the Boston area and the home to MA’s first Nordstrom. They are building in the same fashion that Quakerbridge is planning on building. ** According to a Westfield brochure, it had a “Main Street USA theme, complete with “streets”, distinct storefronts, and lampposts”. But it’s actually enclosed! Surprise! And forget I asked about Kenora. Please forgive me for my double-posting, but here are the reasons I’d like everything. Orland Square Mall (Orland Park IL) *NEW*-According to Dixie Square’s forum, as of summer 2006, the mall was relatively downscale. However, the old Simon website disagrees. Can someone set the record straight? Beginning as Forest Fair Mall, this mall has led a controversial but somewhat mysterious life. For example, its many trials in the ’90s, or the 200 stores at the beginning. The mall is a classy one today, but it faced troubles in the ’80s and ’90s. It added new things to compete like a theme park and model train expos, but those times…and the pre T&C past…is largely unknown. It may have been a beautiful outdoor mall in the ’60s and a sad mix of outward-facing big box stores today, but of those in-between times…what were they? How has the mall changed? The Wikipedia article is largely shifty, this is a very dated and service-oriented mall, with lots of vacancies and wood façades. A real treat. Apparently, the mall was once upscale. Lots of groovy architecture but boring stores! Can this one be clarified? An attempted renovation. Threatened by a lifestyle center. Affected by demographic changes. Is this mall okay or is it in trouble? What was the history of this mall? And any new photos? The “Bill & Ted” mall is starting to fail, and there’s a few things I want tp ask. This mall looks interesting, it’s been mentioned, but can you clarify with some anchor history and photos? An INDOOR “downtown feel” shopping district? Count me in. I want photos, please! A demolished mall in town, but it died before I was interested in this kind of stuff. I’ve got printed material and hazy memories, but I need backup. The largest mall in North America! One of the things I’ve noticed about Labelscar is it tends to gravitate toward New England malls, but starting beyond the Appalachian Mountains, so to speak, it covers malls sparsely, and those that do are dead, sick, or dying. There are many more malls in the West Coast, both dying and perfectly alive. This was once the largest climate-controlled mall in the world when it opened in 1965. It was eclipsed by Cinderella City a mere four years later, but NorthPark Center never died. Actually, I now am creating a list of nearly 40 malls, all with hyperlinks. I think I’ll send the whole enchilada here, eventually. Not much for anchor history Jonah to this one. The only two anchor stores that changed hands were a Lord & Taylor, which became Carson Pirie Scott & Co. in the early 1990s, and of course, Marshall Field & Co. which became Macy*s last year. Sears and JCPenney are original to the mall. Also the mall never had much of a layout change….the 1980s saw the ice rink on the lower floor removed and a food court built out, then around the time Westfield took over, it got a massive exterior/interior renovation that pulled the mall out of a mish-mash of 1970s and 1980s architectural elements. What I’d like to know is if this was Aurora’s first and only enclosed mall, or if they had others that were completely killed off over time due to Fox Valley Mall. I went to FVM one time in 2005 in my annual Chicagoland ‘vacation’…..the size of that place and the number of shops within would have killed any mall within a 5-10 mile radius. One more factoid. Like many ‘mega malls’ in the era, FVM was to be the centerpeice of a ‘planned community’, but in the end, only the mall and theatres were built out. Everything around it that was supposed to be housing, ended up as ‘big box’ city….starting just before Fox Valley, and ending at the Premium Outlets. Aurora Rd and the vicinity have become a strip of boxes, strip centers, hotels, chain restaurants and other establishments. The thing that struck me most about the place was the mammoth Center Court. Not as grand, nor does it have the ‘disappearing mezzanine’ like Woodfield, but still grand in its own way. To see Westfield’s heating / cooling bill for that one….woah. I’m not even native to the area…I read up on the mall at various places online. Any corrections / additional notes from anyone else are appreciated. If only FVM wasn’t an hour and a-half (45-minute to an hour, from the Rosemont convention center) treck from where I stay the nights during my trip, I’d hit it up next year. I usually stick closer to the convention site…Woodfield, Harlem-Irving Plaza (This mall needs an entry…not as a dead mall, but as an example of a very successful ‘urban’ mall….it’s got a very storied history and it’s still going strong today, and one of my favorite stops every year), Golf Mill….they’re all within 15 minutes. Anywho, hope I was helpful. I’m very familiar with malls from Wisconsin (obviously) Chicagoland, and a few in Minnesota, so if any info is needed, let me know. The Nanuet Mall was Rockland County’s largest mall for nearly 30 years. The mall opened in 1969 and was originally anchored by Bamberger’s (which became Macy’s in 1986) and Sears. In the mid-1990’s, a new wing of the mall was built that was anchored by A&S (which subsequently became a Stern’s and is now a Boscov’s). Yesterday, I actually visited the mall for the first time (as I wanted to visit Boscov’s), and was deeply saddened that the mall was over half empty (although the department stores still do well there). Obviously, the nearby Palisades Center (which, aside from being built in 1998 is also the ugliest mall I have ever seen, given that the HVAC units are exposed everywhere throughout the mall) is the reason why the Nanuet Mall is dead. 1. Eastwood Mall (Niles, OH): 3,200,000 sq. ft.
2. King of Prussia Mall (King of Prussia, PA): 2,798,956 sq. ft.
3. Mall of America (Bloomington, MN): 2,777,918 sq. ft.
4. South Coast Plaza (Costa Mesa, CA): 2,700,000 sq. ft.
5. Sawgrass Mills (an outlet mall in Sunrise, FL): 2,613,035 sq. ft.
6. Del Amo Fashion Center (Torrance, CA): 2,500,000 sq. ft.
7. Aventura Mall (Aventura, FL): 2,400,000 sq. ft.
8. The Galleria (Houston, TX): 2,298,417 sq. ft.
9. Woodfield Mall (Schaumburg, IL): 2,224,000 sq. ft.
10. Roosevelt Field Mall (Garden City, NY): 2,189,941 sq. ft.
11. Plaza Las Americas (San Juan, PR): 2,173,000 sq. ft.
12. Millcreek Mall (Erie, PA): 2,139,244 sq. ft.
13. Tysons Corner Center (McLean, VA): 2,100,000 sq. ft.
14. Lakewood Center (Lakewood, CA): 2,092,706 sq. ft.
15. Oakbrook Center (an outdoor mall in Oak Brook, IL): 2,006,688 sq. ft.
16. Palisades Center (West Nyack, NY): 2,000,000 sq. ft.
17. Lark Ridge Center (a lifestyle center spread over many blocks in Thornton, CO): 2,000,000 sq. ft.
18. Westfield Garden State Plaza (Paramus, NJ): 2,000,000 sq. ft.
19. Jordan Creek Town Center (West Des Moines, IA): 2,000,000 sq. ft.
20. Scottsdale Fashion Square (Scottsdale, AZ): 1,928,036 sq. ft.
21. Fashion Show Mall (Las Vegas, NV): 1,888,151 sq. ft.
Of course, Mall of American and Woodfield Mall have already been covered on this site. The Wikipedia article is slightly different, NorthPark Center is between Jordan Creek and Garden State Plaza. I second what Max said about the NJ malls. I’d like to see Brunswick Square Mall have its own entry as (a) Simon gave it a major facelift recently and (b) I don’t have to keep littering the beyond crowded Freehold Raceway Mall thread talking about it, LOL. Also, how about an update on that old abandoned mall classic, Dixie Square Mall (assuming is there is anything to report). I love to see a post on New York city malls that has not been covered (Kings Plaza, Manhattan Mall, Bay Plaza,Staten Island Mall). I remember before 2002 renovation. King Plaza had a 1970’s wood and brown look. The Macys store still had it’s 1970’s all Capital letters store logo. Simlar to this photo, http://cjonline.com/images/080205/31896_270.jpg The logo was rare to see at least in 2001. I still wish I choud have took some photos of the old Kings Plaza. How about an “exterior” update on dead malls we’ve all heard of before (Cinderella City Mall, Mall of Memphis)? That would be cool, I guess. Also, I know it’s a month overdue, but happy SECOND birthday! Labelscar is doing great, with still lots of dead malls no one’s heard of and successful ones alike. There’s now more diversification than ever, Midwest malls and West Coast malls are booming, everything is great!